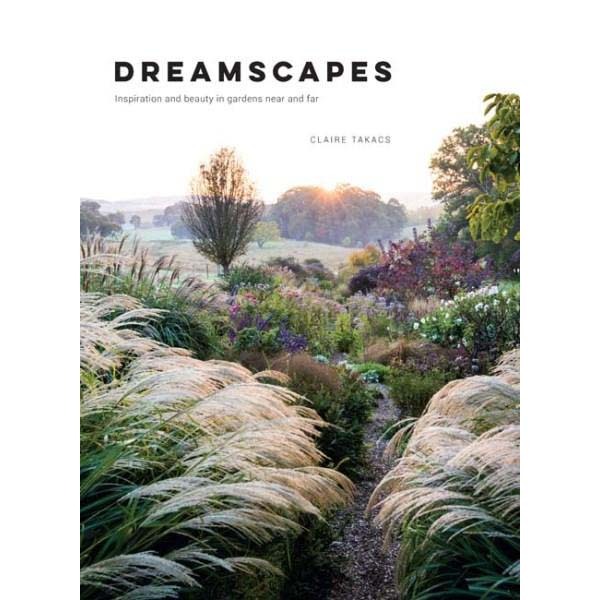 Dreamscapes is a stunning collection of over fifty of the world’s most beautiful gardens from across the globe, photographed by internationally renowned and awarded photographer Claire Takacs. Dreamscapes includes many gardens designed by famous designers such as Piet Oudolf, Paul Bangay, and Spanish designer Fernando Martos among others, with photographed locations including Australia, New Zealand, UK, USA, Europe and Asia. This book will astound and delight you with the diversity and creativity of the gardens featured, all portrayed at that rare moment when they are at their most stunning. Iconic gardens included are the stunning Welsh garden Dyffyryn Fernant, Australia’s Cloudehill, Martha Stewart’s private garden, the beautiful Edwardian idyll of Bryan’s Ground in Herefordshire, the former home of Vita Sackville-West, Long Barn in Kent, the naturalistic French garden of Le Jardin Plume in Normandy, Hermannshof in Germany at the forefront of planting design, and Kenfokuen one of Japan’s most beautiful public gardens.